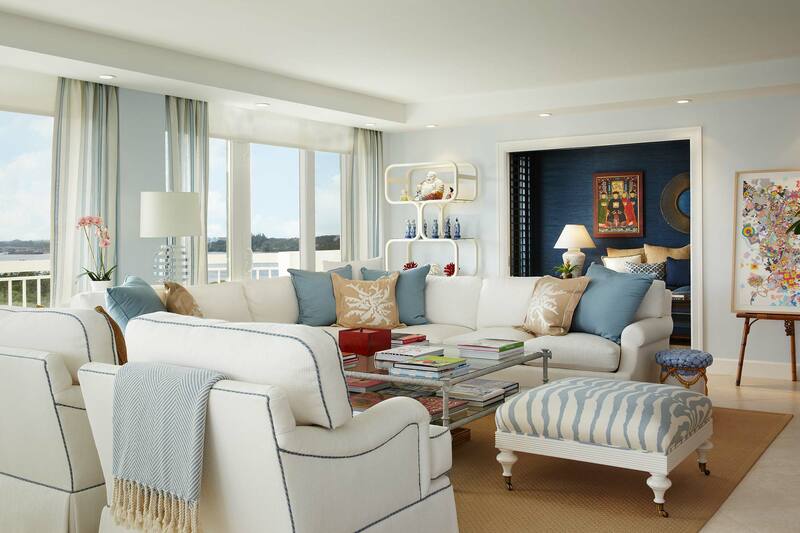 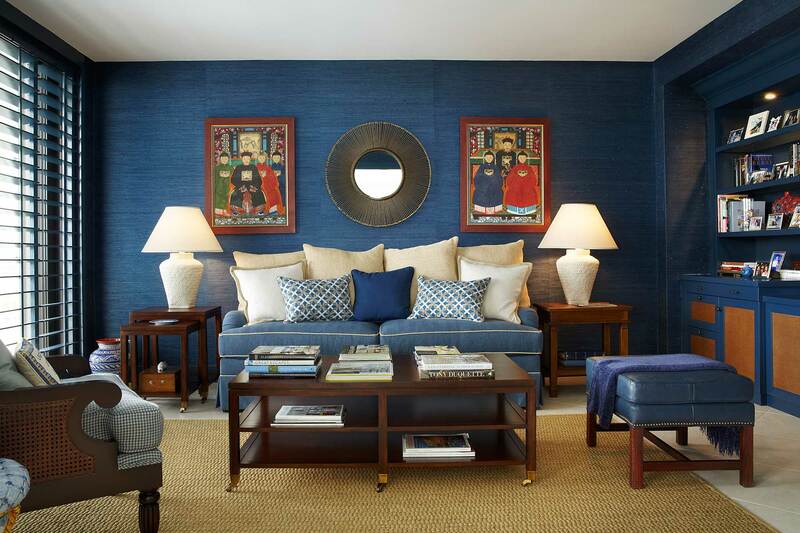 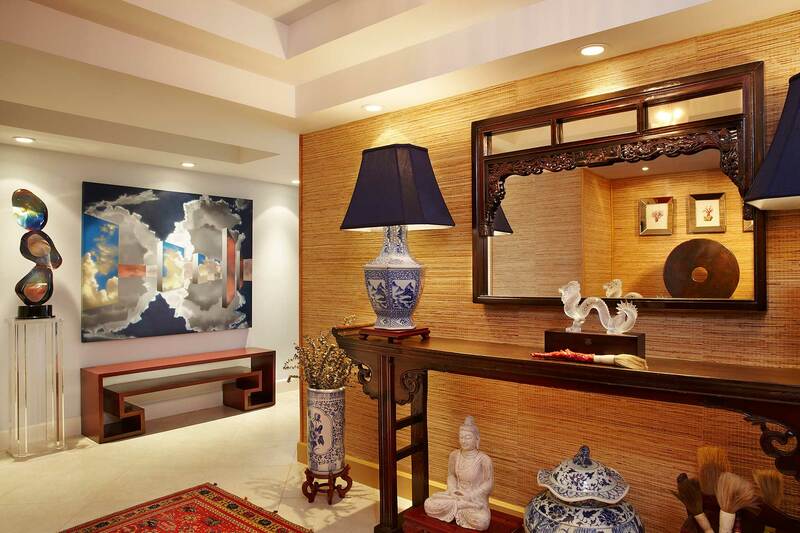 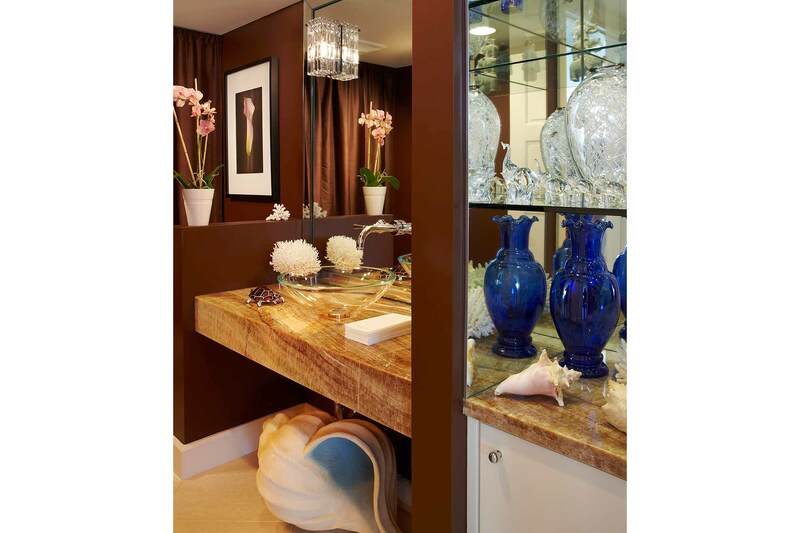 Chic but casual Palm Beach ccondominium, incorporating seaside colors, blues, whites and beiges in this exclusive ocean view apartment. 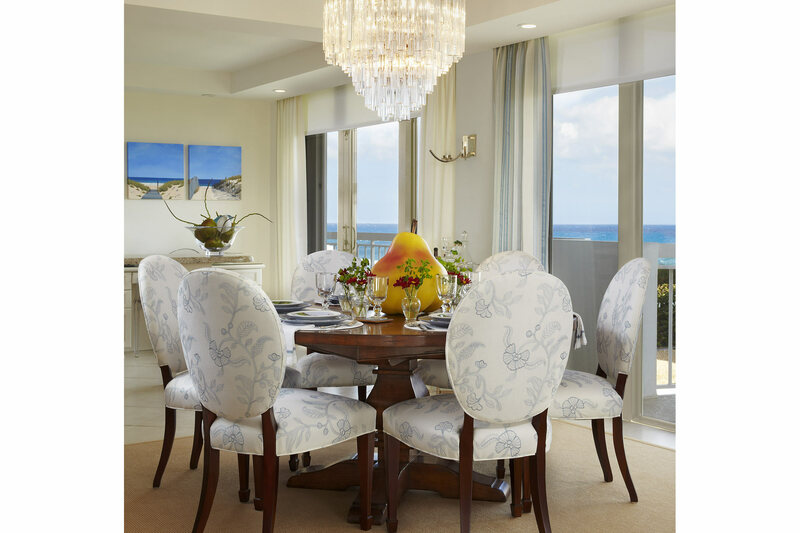 Mixing transitional with contemporary styling while integrating the clients spectacular art gives this home a dramatic feel that incorporates the ocean views from the floor to ceiling windows. 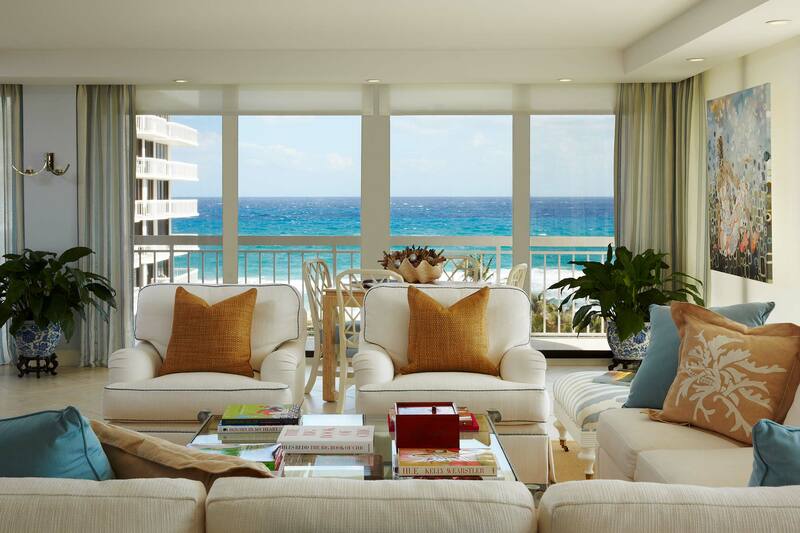 This luxury condo is Malibu meets the Hampton’s in Palm Beach. 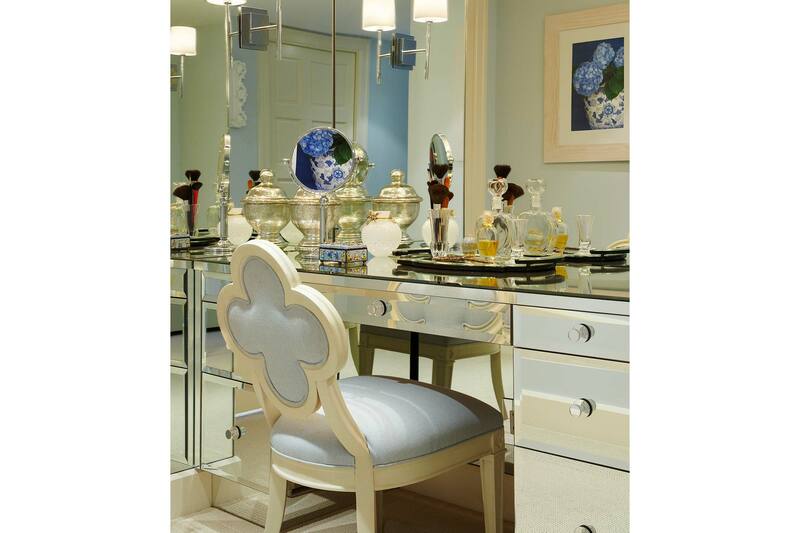 Special Touches of Design Elegance: Ralph Lauren grass cloth, custom made ottoman, custom window treatments with hidden hardware, asian art pieces, sunburst mirror, Kravet fabrics, mirrored dressing table, 1960’s Cramer chandelier, Judith Norman dining chairs, Hal Buckner sculpture, custom navy corded club chars.